Air pumps force oxygen into your tank by increasing surface agitation so your fish have lots of O2 to breathe in. In many cases, your aquarium inhabitants don't need the extra oxygen and live just fine without an air pump. But take a road trip, add in medication or run a certain type of filter, and the extra oxygen from an air pump becomes a necessity. 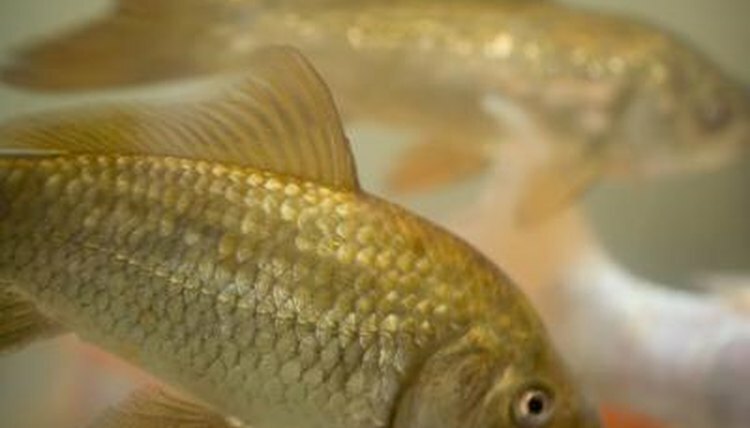 When your fish fall ill, medications can put them on the mend. Raising the water temperature often goes along with or is done in lieu of adding medications. Medicines typically call for increased aeration because many either remove oxygen from the water or create a film that spreads across the surface of your water and impedes oxygen exchange at the surface. Increasing water temperature also calls for increased aeration because warmer water holds less oxygen. In both cases, air pumps offer the quickest and easiest solution for increasing oxygen throughout your tank. If your filter does not agitate the surface of the water, you'll need to adjust your filter, purchase one that does offer surface agitation or add an air pump. All hang-on-the-back filters, also known as power filters, agitate the surface of the water, thereby pushing oxygen into the water. For canister filters, you may need to adjust the output upward so the water being pumped in agitates the surface. Undergravel filters do not agitate the surface and do require an air pump. Wet/dry filters typically provide more than enough surface agitation and pump dissolved oxygen into the water. When traveling long distances with fish -- think moving to another state or across the country -- adding an air pump to their travel quarters is vital. The pump ensures your fish have enough oxygen on their little road trip and limits their stress. Opt for a battery-powered pump so you can run it all times. Battery-powered pumps also give you peace of mind in case your power goes out. Your fish won't hesitate to let you know if they need more oxygen. You'll notice them hanging around and gasping for air at the surface, even fish who routinely spend their time near the bottom of the tank. Fish will also swim to the surface to breathe if ammonia levels in the tank are too high. An ammonia test will tell you if that's the problem. If it is, change out a large percentage -- 40 to 50 percent -- of the water immediately. If not, then your fish don't have enough oxygen in their water and you need to either increase surface agitation or add an air stone.